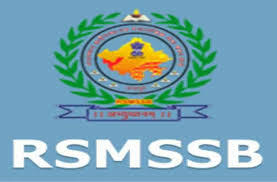 RSMSSB material supervisor 2018 recruitment And Related Syllabus And Daily Science Notes G.K Notes Updates – 02-11-2018 And Rajasthan Subordinate ministerial Services Board Notification For Rajasthan Mahila Supervisor And Latest Updates LDC Clark And RPF, Railway Group D, Rajasthan PTET, 1St Grad And 2nd grad Teacher Related Most Important G.K Daily Updates. Question(1) The is natural gas mixture? Question(2) LPG is mixed for odor? LPG में गंध के लिए मिलाया जाता है ? Question(3) The best conductor of electricity? विद्युत का सबसे अच्छा सुचालक है? Question(4) Artificial rain is used for use? कृत्रिम वर्षा के लिए उपयोग में लाया जाता है? Question(5) The is iron nickel and chromium alloy? लोहा निकेल एवं क्रोमियम की मिश्रित धातु है? Question(6) The is present in bones and teeth? हड्डियों और दांतों में उपस्थित रहता है? Question(7) The is soldering mixture? सोल्डर ( टांका ) मिश्रण है? Question(8) The is purity of pure gold? शुद्धतम सोना की शुद्धता होती है ? Question(9) The is purest form of iron? लोहे का सबसे शुद्धतम रूप है ? Question(10) The is hardest substance?